Designed for those who aspire to lead social change, and to find creative ways to tackle the global challenges facing cultures and communities. 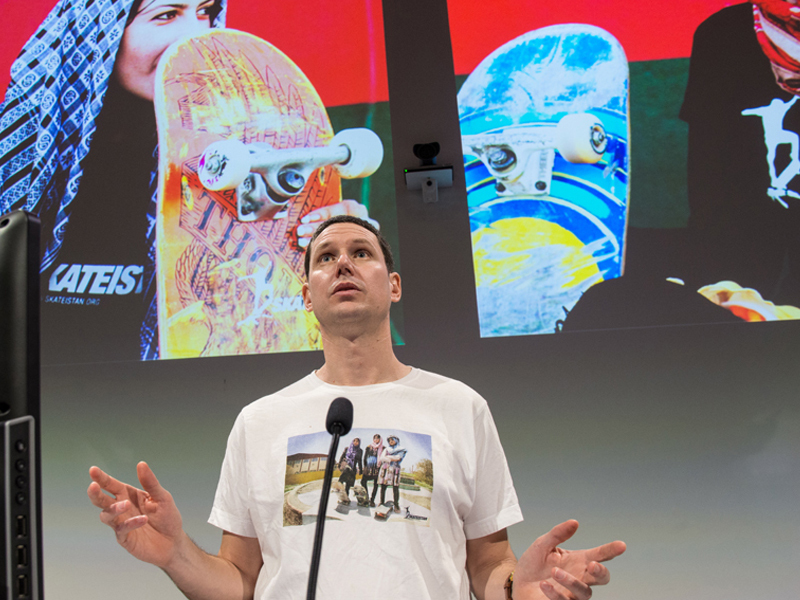 Oliver Percovich is an advisory board member of the Bachelor of Global Studies, and founder of Skateistan that helps kids gain access education despite armed conflict situations. Percovich contributes his experience working in Afghanistan, Cambodia, South Africa and Germany to the program. A funded overseas experience for every Bachelor of Global Studies student. This degree engages you with real-life problem-based learning through workshop-style classes and guest lecturers from diverse industries. In your final year, you'll be placed in front of actual stakeholders to present your solutions. 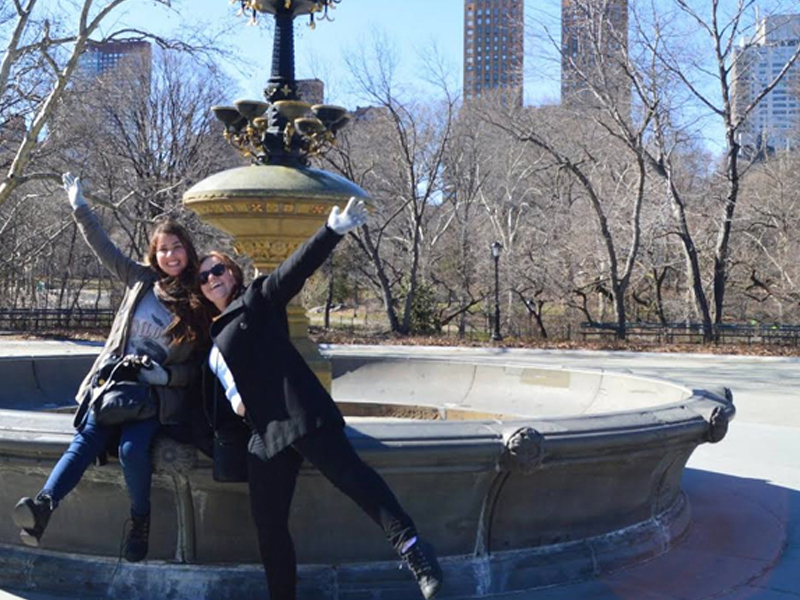 Jessica Kensey and Constanza Núñez Malebrán travelled to New York for the Womensphere Emerging Leaders Global Summit as part of their Bachelor of Global Studies degree. Overseas study is a compulsory component of the BGS degree. What are the drivers of social change? 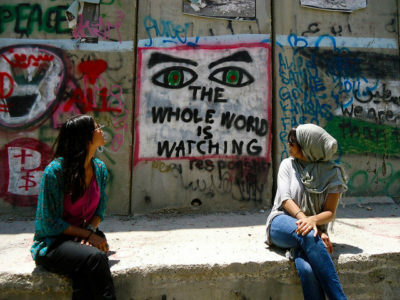 Keen to find your own creative ways to tackle the challenges facing the world? At its core, this course teaches leadership for social change, and offers a broad range of multidisciplinary electives, an overseas study component, opportunity to do an internship, and a choice of four specialisations. This degree delivers classes through workshops where you will be engaged in problem-based learning. Guest lecturers from diverse industries will present their direct experiences in the field. In your final year, you'll also do practical field work. Working in interdisciplinary teams for simulated real-world problems, you'll present your solutions back to actual stakeholders. Extend your studies of leadership, culture and globalisation by focusing on communication across cultural borders. By studying one of eight internationally important languages – Chinese, French, German, Indonesian, Italian, Japanese, Korean and Spanish. – you’ll deepen your cross-cultural skills and knowledge. All languages are available for beginners through to those with proficiency. You’ll also study topics such as managing intercultural communication, and the skills you build will enable you to apply your knowledge in real-world contexts. In the era of globalisation, one of the most important concepts in international affairs is human rights. What are human rights? Are human rights culturally relative? How can human rights be justified? You'll learn how human rights helps to address issues such as global poverty, unequal access to medicine, warfare, terrorism, children's rights, humanitarian intervention, torture, surveillance and more. What are the dynamics of global politics and economics? Gain an understanding of the relationships between political institutions, international organisations, governmental and non-governmental actors. Grasp evidence-based explanations to study war and conflict, development, financial and other crises at the global level.n You'll do in-depth study of topics of contemporary significance such as terrorism and political violence, global governance, international security and foreign policy. Get into the heart of some of the most crucial issues of the current era, to be prepared to seek a role in addressing our contemporary and future challenges. You will examine such diverse topics as the role of cities as drivers of change, migrant and refugee experiences, power and poverty, and tradition and popular culture. In doing so, you will develop a solid understanding of European and Asian cultural studies and of networks of relations between Europe, Asia and Australia. You can choose from a range of overseas electives, as part of one of our study tours; or based at a Monash location in Italy, Malaysia and South Africa; or at a prestigious partner university. Integral to this course is study overseas that can be completed across a full semester, or taken intensively. You could take units offered at a Monash international location, join in one of our many study tours, or study at one of our prestigious partner universities. With partnerships with over 100 universities worldwide, a Centre in Prato, Italy, and a campus in Malaysia, you're spoilt for choice. Over 15 study abroad subjects are available with this specialisation, spanning short-term programs in Asia and Europe. You can also gain credit for a wide range of language study abroad programs - see specific language advising page on the International Study Programs by Areas of Study. Learn first-hand about the footsteps of refugees, migrant case studies, and the paths for justice, peace, and security in Africa, the Americas, Asia, Europe and the UK. Take a winter or summer intensive in the Americas, Asia or Europe, or do a semester-long exchange in Asia, Europe or the UK. You can also gain credit with a range of short-term international relations and politics programs at other institutions as well. 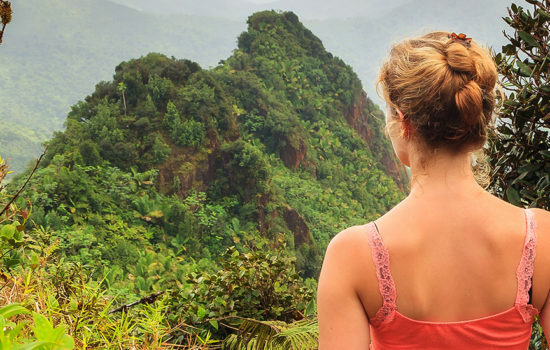 Over 20 study abroad subjects are available with this specialisation, including summer and winter intensives, and semester-long programs in Asia, Africa and Europe. You can also gain credit for a range of short-term programs run by other institutions in the Americas, Asia and the UK. 30 scholarships valued each at $3,000 are available specifically for Bachelor of Global Studies students. The scholarships also come with mentoring and leadership development. For full details visit the Global Scholars Program. Refer to information about each specialisation's study abroad opportunity for information on scholarships and funding by study area. Overseas study is now guaranteed* as part of your Monash Bachelor of Global Studies degree with the Global Immersion Guarantee. From 2018 every Bachelor of Global Studies student will have the opportunity to spend two weeks studying in Italy, Indonesia or Malaysia, with airfares and accomodation covered as part of your degree! We have partnerships for Arts internships around the world. Enrol in an Arts internship unit to get hands-on experience and study credit at the same time. Open up new pathways and opportunities for your career. You can gain credit with an internship unit ranging from general Arts Internship units to specialised offerings in journalism, the Victorian Parliament, Theatre and Languages, Literatures, Cultures and Linguistics. You can gain industry experience locally or internationally through a range of our partners (view current internships open for applications) or through an institution of your own choice. 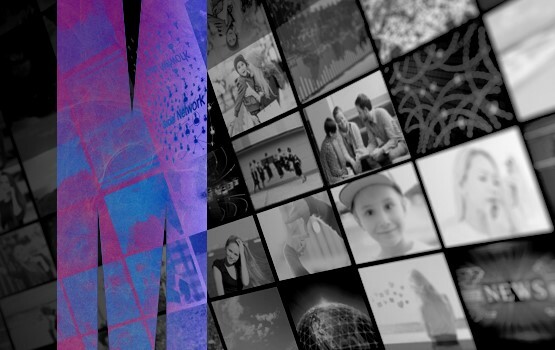 If you undertake an Arts Internship unit, you may be eligible for a Monash scholarship. Our Bachelor of Global Studies has an Industry Advisory Board whose members are actively involved in providing the BGS academic team with direct links into business, government and the social sector. These links are particularly important for students' final year where they have the opportunity to do practical field work. Our board members are also on hand at Bachelor of Global Studies events such as the Welcome Lecture, Open Day, and other special occasions, giving students and their parents the opportunity to ask questions and be inspired by the possibilities ahead. Dr Maithri Goonetilleke is a senior lecturer in the department of epidemiology and preventive medicine working in rural parts of Swaziland, Southern Africa where he founded the non-government organisation Possible Dreams International (PDI). PDI works in 32 rural communities addressing social and structural determinants of health and is managed on the ground by local Swazi people. In Australia he has worked across a variety of clinical roles including medical and emergency registrar positions in tertiary hospitals, running sole-doctor emergency departments in rural areas, working with Indigenous communities, correctional facilities and community general practice. Mr Victor Finkel is an Engagement Manager at McKinsey and Company, where he has worked since 2011. He has worked as a policy intern for the National Planning Commission Secretariat of the Presidency of the Government of South Africa (2013), and an associate intern for the Grattan Institute (2014). Dr. Chrisanta Muli is the Research Team Leader at Oxfam Australia, and has worked both as an academic researcher and a community development practitioner with poor and marginalized communities in Africa, Asia and the Pacific. Mr Oliver Percovich founded Skateistan, a grassroots 'Sport for Development'project on the streets of Kabul. Today, Skateistan is an award-winning international organisation with projects in Afghanistan, Cambodia and South Africa, and is the first international development initiative to combine skateboarding with educational outcomes. Lachlan has been a Board member since 2015. Mr. Lachlan Preston is an experienced project and events manager with a unique mix of interests in youth education, Indigenous culture, Latin America and sports. Mr. Preston works as Programs Manager for the Cathy Freeman Foundation, whose mission is to help Indigenous children experience their full potential in school, and beyond. Lachlan has been a Board member since 2015.